Most of the people possess the extreme willingness to achieve a great skin tone. The skin color may differ from one person to the other, with some people having dark complexion, some having fair complexion, few people having bright complexion, and some having medium complexion of the skin. Whatever be the skin color, having a beautiful and glowing skin is the ultimate desire! There are several factors which disrupt the skin’s beauty; a few factors consist of exposure of skin to harmful ultra violet rays of the sun, contact of the skin with environmental pollutants, lack of hydration, improper diet, and lack of blood circulation. The skin may become highly damaged due to these factors. The damage may be seen in various forms like uneven skin tone, wrinkles, freckles, blemishes, skin dryness, cysts etc. So, proper skin care is recommended to enhance the skin’s beauty and texture. A few beauty tips for skin, which would be of large assistance in maintaining the youthfulness and radiance of the skin, have been reveled below. 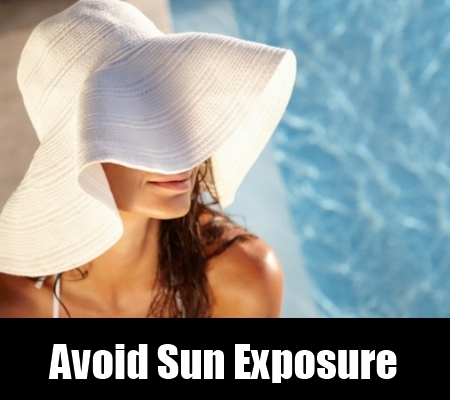 A very useful tip for enhancing skin’s beauty is to avoid sun exposure during peak hours, i.e. between 10:00 A.M. to 4:00 P.M. At this time of the day, the rays of the sun emit harmful radiation, which results in premature skin aging, subsequently spoiling the texture and tone of the skin. It is said that vitamin D is very good for the skin and sun is the natural provider of vitamin D; however, vitamin D from the sun should be taken early morning before 10:00 A.M., when the sun’s rays are healthy for the skin and do not have any negative impact. 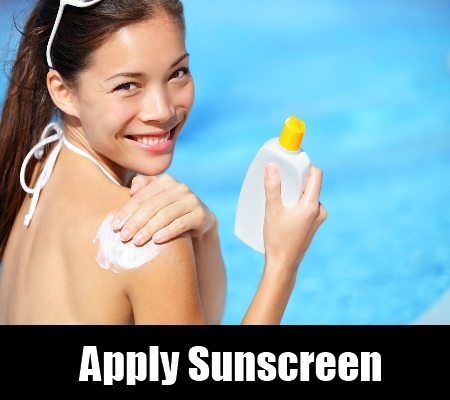 One of the best ways to prevent direct exposure of the skin to sun is to apply sunscreen lotion on the skin. People who apply sunscreen lotion enriched with sun protection factor of at least 15 would see their skin glowing all the time naturally. So, sunscreen application on the skin is one of the best beauty tips to guard against premature skin aging. People who neglect their diet would have a dull and dry skin. The foods that you eat contribute immensely in augmenting skin’s health. 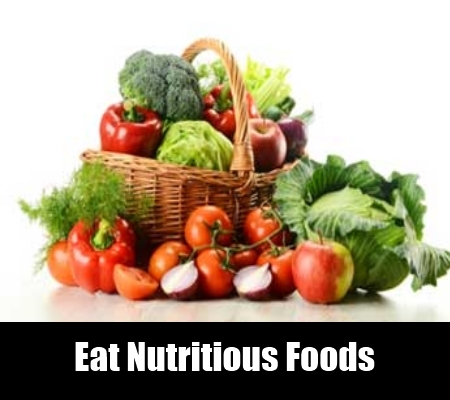 There are several foods which are enriched with healthy nutrients, so that the skin remains nourished and radiant. A few healthy minerals and vitamins for the skin include iron, zinc, vitamin C, vitamin E, and omega 3 oils. Also, feeding the skin with adequate antioxidants is imperative to keep the skin glowing and beautiful. A few foods which are beneficial in boosting up skin’s health and beauty comprise of fish, green vegetables, citrus fruits (tomatoes, strawberries, and oranges), yogurt, soybean and eggs. Regularly consuming these foods would help in rejuvenating the skin. 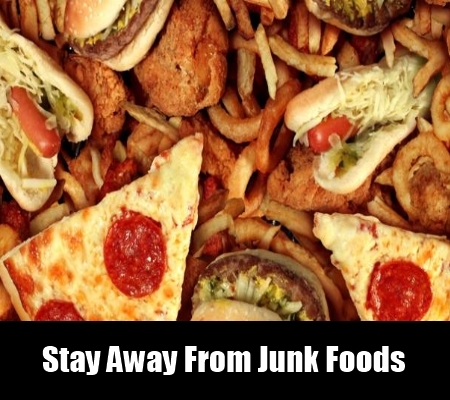 Fast foods and junks foods contain excessive fat content which is very harmful for the skin. There may be acne symptoms like pimples, cysts and freckles on the skin due to consumption of excessive oily foods. So, these kinds of foods ought to be discarded from the diet to get good textured and healthy skin. Daily skin cleansing is mandatory to remove the dust from the skin and to prevent clogging of pores. It is suggested to remove the make up from the skin every night before going to bed with a good cleansing lotion. 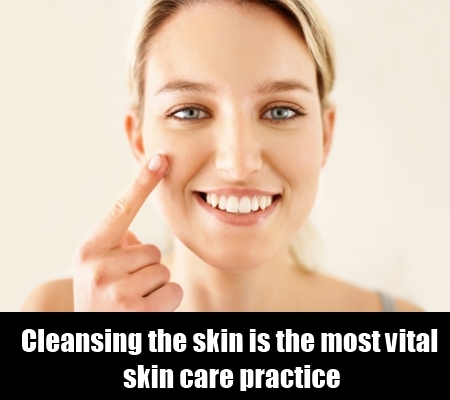 Also, the skin should be cleansed in the morning before applying make-up. There are many cleansing lotions available now-a-days. While selecting the cleansing lotion, make sure that it is not enriched with harmful ingredients. Also, use of soaps for skin cleansing should be inhibited as most of the soaps are drying in nature. However, milk acts as a natural cleansing agent for the skin and does not do any harm to the skin. One of the amazing beauty tips for skin is regular exfoliation. Getting rid of the dead skin would help in revealing a rejuvenated skin from inside. The process of skin exfoliation would be of massive aid in discarding dead skin and attaining glowing skin. During the process of skin exfoliation, an exfoliating scrub is taken and massaged on the skin for around two minutes, which helps in removing the dead skin layer. Consequently a firm and elastic texture of the skin would be attained. 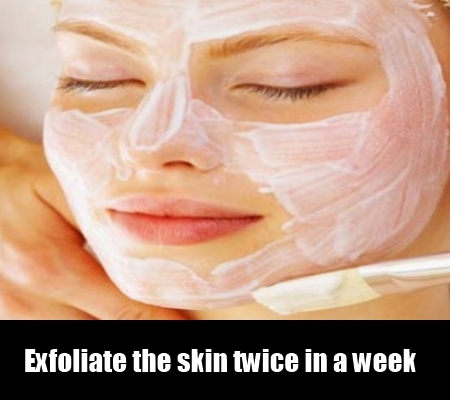 It is suggested to exfoliate the skin twice in a week to attain best results. The role of moisturizing the skin with respect to obtaining soft and smooth skin cannot be neglected at all. 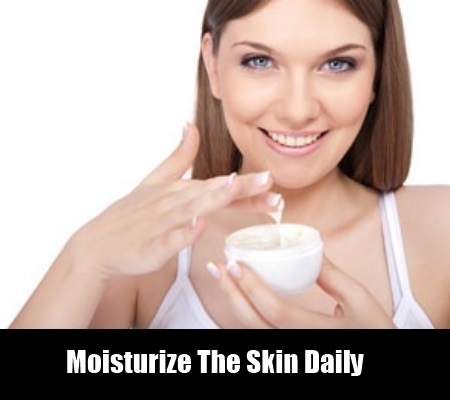 Moisturizing lotion should be applied on the skin twice daily to maintain the softness of the skin. The lotion should be applied on well cleansed skin, so that the skin’s health is maintained. Though, you may choose from several moisturizers available worldwide, yet natural moisturizers like olive oil, coconut oil and vitamin E oil should be the best options, when it comes to maintaining natural skin glow. 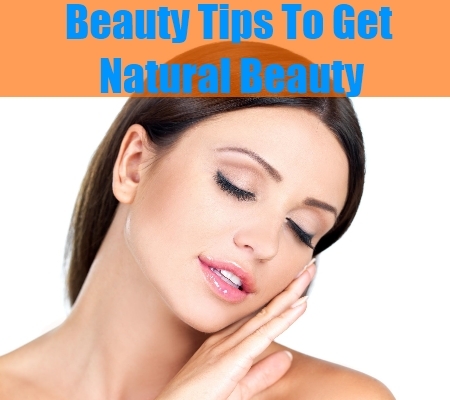 Among various skin beauty tips, regular workouts are of tremendous assistance. 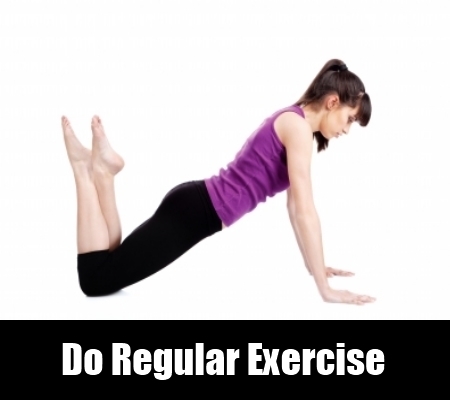 Doing exercises regularly would assist in boosting up flow of blood throughout the body, including the skin. This would help in making the skin beautiful and glowing. Aging signs like wrinkles and fine lines would be delayed, if there is optimum blood circulation, consequently enabling an individual to remain younger all over life. 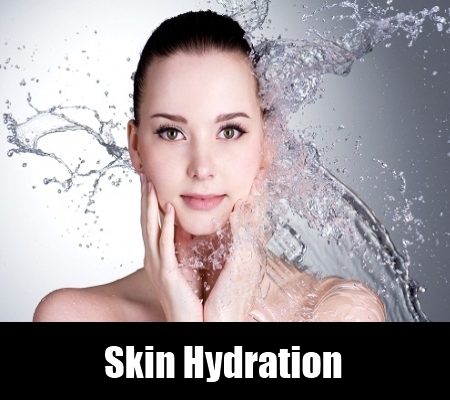 Water plays a massive role in maintaining the hydration level of the skin. The dryness from the skin would be gone and the hydration level would be tremendously augmented, if you drink around nine to ten glasses of water daily. The beauty tips revealed in this article would keep your skin refreshed and rejuvenated all the time. Also, the tone, complexion, and texture of the skin would be enhanced. Further, you would be able to see considerable improvement in your confidence level with the help of attaining radiant looking and youthful look of the skin. So, if you really want to look great, you need to implement the aforementioned skin beauty tips.